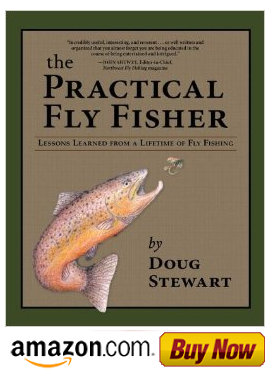 Fly Fishing with Doug Stewart: What makes a Steelhead Fly Fisher? First and foremost, to become a successful steelhead angler one has to make a mental commitment to accept the challenge of fly fishing for steelhead and also to take the risk of getting skunked. Some statistics say that on average it takes a beginner about seven years of fishing before he or she catches their first steelhead. It’s kind of a bleak outlook when a novice is facing these odds, but the time can be shortened drastically by going with someone with experience. Also, the beginner needs to read, watch videos, go to clinics, and most of all put the drift gear away and go with fly fishing only. 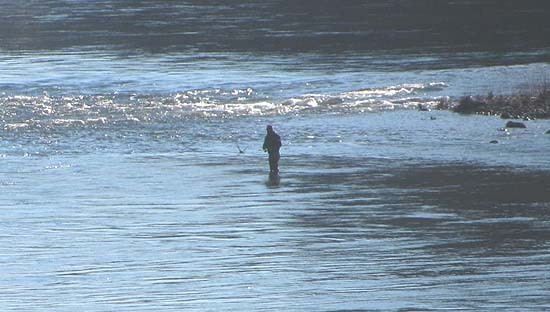 Finally, the angler must have a dedicated interest in learning the techniques and follow the three Ps for success: Patience, persistence and passion. His persistent quest for knowledge finally came to a head when he started following me around on the river. I got a little annoyed so I tried to diffuse a confrontation. I politely told him that he needed to branch out on his own, talk to other angers and if he stayed with it one day it would happen.